No matter where you are, one thing you need to do daily is to fuel your body. You need to take in calories to balance what you burn off. This really shows itself when you are involved in a high energy sport such as backpacking. You need calories that pack a punch, not empty calories. The unique thing about backpacking is you need lightweight and easy to prepare foods as well. This brings us to our topic: the best energy bars. We are going to review ten of the best energy bars and see how they stack up against each other. For some list of non-perishable food that you might need, see our article on this important topic. All power bars are not the same. Reading labels will be important so you can get a bar that offers real nutrition and not just another source of candy. Some characteristics to consider when looking at the best power bars is the amount nutrition. How much protein, carbs, fiber, and other things are in your bar? Each bar should have at least 20 grams of protein (whey protein is preferred as it is very healthy). In addition, the net carbs (carbs – fiber) should be lower than the grams of protein. If it is higher, it is leaning towards being a candy bar. You should also consider grams of fat. If the bar is going to be a meal replacement bar then the bar should contain >10 grams of fat. The fat should fall into the medium chain triglycerides such as coconut oil and cocoa butter. Don’t go overboard on ingredients – in fact, the fewer ingredients, the better, as most of those ingredients are words you can’t pronounce and are most likely fillers and/or preservatives. Other things to take note of include artificial sweeteners, gluten, sugar alcohols, and soy protein. Bottom line? Carbohydrates combined with protein, fat and fiber are more likely to offer sustained energy – perfect for the backpacker. Definitions: What’s It All About Alfie? As with most things in life, there are specific terms that are used when discussing the issue. This is true with energy bars. We have listed some common terms here so we are on a level playing field when we begin to discuss the actual products themselves. Genetically Modified Organism (GMO): This can be plant or animal life that has undergone a transformation through gene splicing and DNA combinations that do not appear in nature. It creates an unstable form of the organism. This has become a volatile topic for many in the agriculture industry and one more of us should pay closer attention to. A lot of GMOs end up in spices, preservatives, flavorings, vegetable protein and such. Vegan: A vegan is someone who avoids all foods derived from animals such as meat, dairy, eggs, and honey. They also avoid leather products, and as much as possible, products tested on animals. As far as the diet goes, it is widely recognized as a viable, healthy diet that people can thrive on. Dairy Free: To be dairy-free the product must be free of milk-based ingredients. This does not include eggs. It is easy to pick out dairy products: milk, cream, butter, cheese. What about this list: casein, whey, and lactose? The ingredients are not always typed out in ways we recognize. Gluten Free: First of all gluten is a mixture of proteins that occur in grains such as wheat, rye, and barley. There has been a huge growth of people who cannot tolerate gluten in their diets anymore. These people seek to eat gluten-free products. Since gluten is used worldwide in many products, especially processed foods, it is sometimes difficult to find food that does not contain gluten. Gluten-free products have no traces of wheat, rye or barley in them. 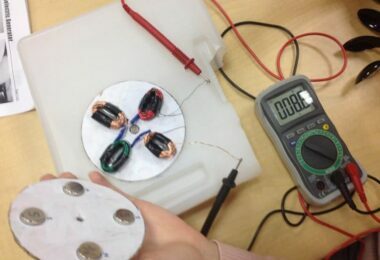 Products are tested and the regulations enforced by the FDA. Fortunately, fresh fruits and veggies do not contain gluten. Organic: Achieving organic status on your farm or garden is difficult. There are particular specifications that have to be met. The most prominent ones are farming with no pesticides, certain fertilizers or antibiotics. 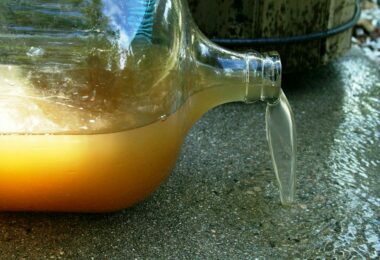 In some cases, it may take up to three years because any land has to be allowed to rest from any prohibited substances. The bottom line is to be organic it has to be natural, whole food with no chemical treatments. Kosher: This definition can be rather complicated, but I will try to keep it simple for time and space. Those who eat Kosher foods will understand the meaning. The Jewish people are very clean, part of the Kosher definition has to do with maintaining a pure food. They believe that man is what man eats, so this perception also guides their regulations. There a numerous regulations about how meat is butchered and cared for; how it is cooked; what varieties of food can be mixed together and how you eat it. Let us suffice it to say that kosher food is for Jewish people and by Jewish people. 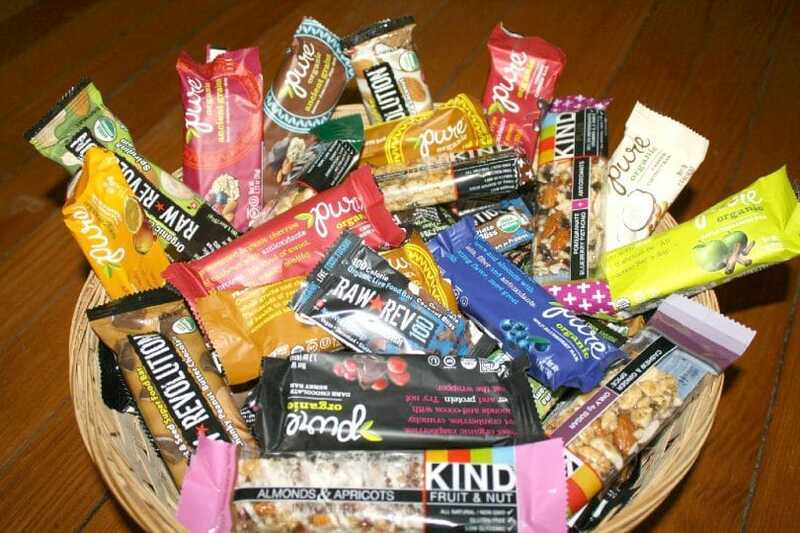 Hopefully, this little definition discussion will help you choose appropriately when it comes to buying yourself a stash of the best energy bars. What’s in The Pic-a-nic Basket Booboo? Description: Bobo’s has a lot of great things going for them, but there are also a few things lacking. 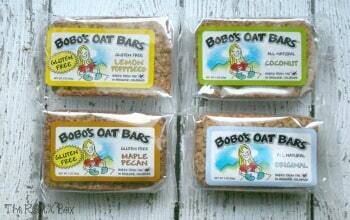 These Bobo’s Oat Bars All Natural have a shelf life of 7 months and can be frozen and eaten later. However, if you review the nutrition information below you will see several things: very low in protein; very high in carbohydrates; moderate amount of fat. Basically, this bar lacks in great nutrition that would be able to sustain a backpacker. It would be a tasty filler, but it is not going to provide what you need to keep you going. Instead of a meal replacement, this bar could be considered a snack. A look at the nutritional value of this bar is revealing. These bars are low in protein, high in carbs, and just about right in the fat category. In this same brand, the peanut bars offer better nutrition coming in with 9g of protein, only 5g of net carbs, 15 g of fat and 220 calories. This flavor would offer you a bit more energy and be a better nutritional bar than the almond. Description: Who doesn’t love the taste of peanut butter and dark chocolate? These Kate’s Real Food Stash Bars have the flavor that’s hard to beat. 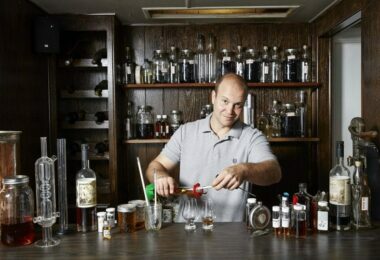 Their name mentions “real food” and of the bars we have looked at so far, this one is coming much closer to the measures we mentioned early in this article. With 9 g of protein, it is still low; but the net carbs of 9 g helps to level this out. This bar has hemp seeds that provide a good source of amino acids and flax seeds that add in the Omega-3 and antioxidants. This bar is made with just 8 ingredients that are 87% organic. 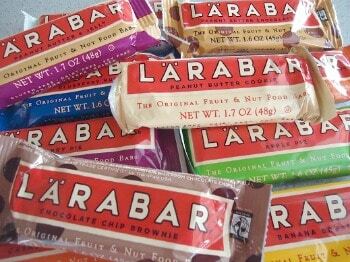 Description: The Larabar Gluten Free Snack Bar sounds delicious and it is. From the beginning, Larabar has strived to make all their products with the least amount of ingredients; in fact, all their products have less than 9 ingredients. A look at the nutrition is rather surprising: loaded with sugar. At 23 g net carbs and only 6 g of protein, this bar will give you energy that will not last. Sugar energy is not the type you need – you need something that will stay with you along the trail. Two of the 4 ingredients are the culprits – dates and chocolate chips. 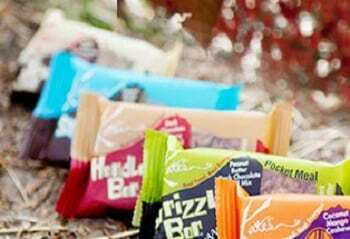 Description: As the name suggests, we are getting into an RiseBar High-Protein Bars that will give you fuel to stay the course. 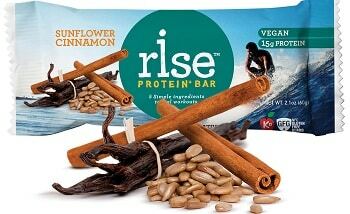 Originally we were going to review the Sunflower Cinnamon bar which is no longer available. In its place, we are looking at the Snickerdoodle. These bars get an A+ for protein, coming in at 20g. Made up of only 5 ingredients, almonds, honey, whey protein isolate, cinnamon, and vanilla extract, I think it is the honey that is sending it over the edge on carbohydrates. Because of the protein and the calorie count, this bar could really be considered a meal replacement giving you what you need to be sustained for a few hours. Description: The claim to fame of these Amazing Grass Organic Green SuperFood is their superfood mix: antioxidant-rich fruits and veggies. The base of their products come from grasses that are grown on organic farms across America. They also have a community of other farmers that provide the organic fruits, veggies, and nuts they use in their recipes. A look at the nutritional values tells a story. Look at the carbs. Look at the protein. High in one and low in the other; if only they could switch places. This bar is loaded with sugar – it comes from agave nectar in this case, but it is still sugar. The first ingredient is dates – also high in sugar. You will get some energy from this, but as with sugar, you will also get the sugar crash. I think the concept of the green superfood is great; the protein needs to be bumped up and carbs knocked down a few notches. Description: Bonk Breaker was founded by two athletes. 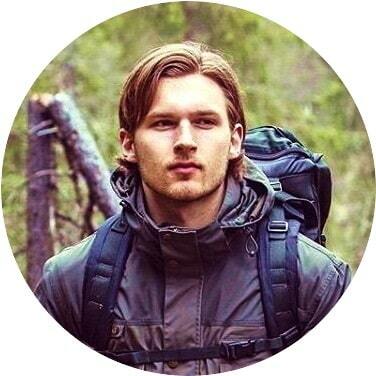 Their goal is to provide real food, to real people who have a very active and busy lifestyle. With the protein level of this bar, I think that goal can be reached. 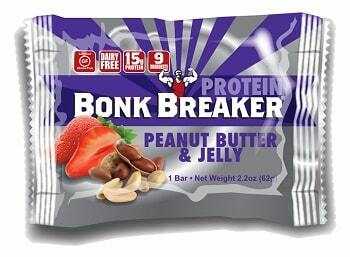 This Bonk Breaker High Protein Bar is put together with 9 ingredients. These bars are used by top elite athletes, professionals, and Olympians.They have four great flavors of the protein bars. Nutritionally, this bar has a great level of protein at 15 g. But here again, the carbs are way too high. The sweetness comes from the strawberry fruit filling and the honey. The carbs and the calorie level put this into a snack category rather than a meal, but it does have excellent protein. Description: You had me at “crunch”. I love a bar that goes crunch when you bite into it. This, of course, is going to be a personal choice; in my book crunch is always better. 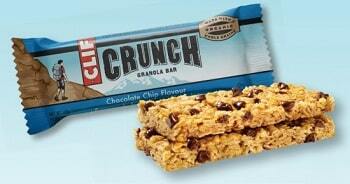 Clif bars are rather popular and you can find them at your local grocery store as well. 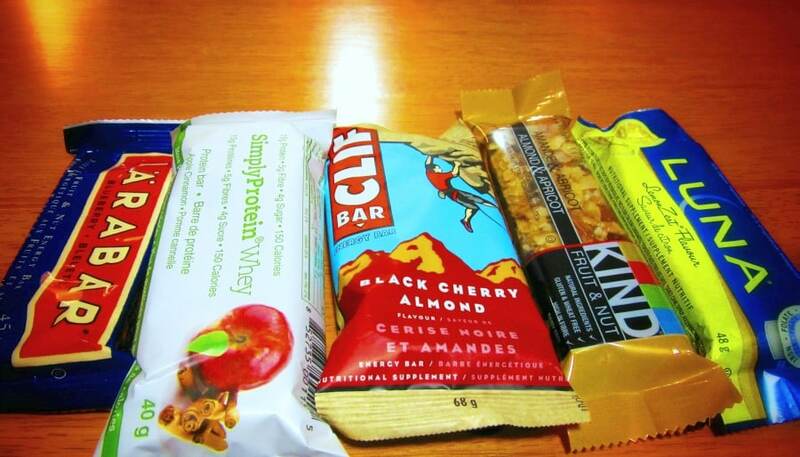 Clif Bar notes on its website that this bar is meant for a light snack. Nutritionally, this Clif Bar – Crunch Granola All Natural Chocolate Chip is really subpar; protein at only 3 grams and net carbs at 25 grams. It must be the sugar that people like. You will get a zap of energy, but as we have discussed on some of the other bars, the surge of energy is not long lasting. 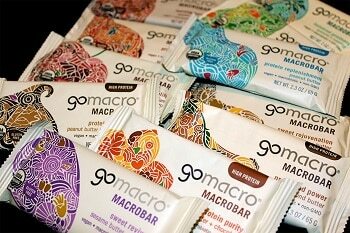 Description: The GoMacro Organic Macro Bars are made from whole foods. In addition, this bar has time-released energy. 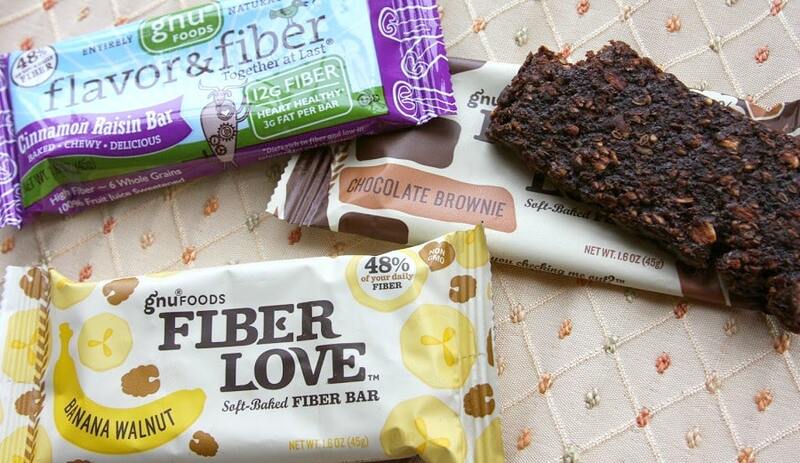 These are award-winning bars that boost the immune system via essential nutrients. You can see the list below, they really do meet quite a few of the “health food” check boxes. Here again, a small amount of protein and a high amount of carbohydrates don’t make for the best energy bar. Your energy will not be sustainable. The fiber content is good. 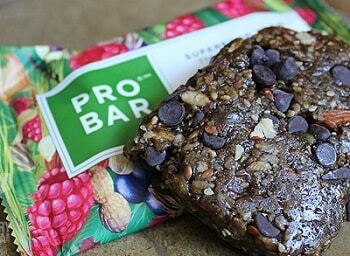 Description: The PROBAR products are plant-based with added superfoods such as acai berries, raspberries, flax seeds, and greens. The proteins come from a variety of nuts including peanuts, almonds, and cashews. This PROBAR Meal Bar, Superfood Slam is high in calories, high in fat, moderate in protein, moderate in fiber and extremely high in carbs. The good news is the calorie count, while high, will help sustain your energy level. On the trail, you will be burning a lot of energy so it will be important to make sure your calorie intake at least matches your output. The premise of any energy bar should be it is made of real food, easily portable, and contain enough energy to be a meal replacement. 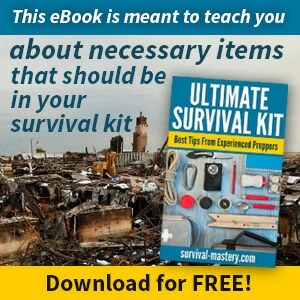 For the best DIY emergency food kits, see our article on this topic to learn more. All ten of these are made of real food and are very portable. But only a couple in this list really stands up to be an excellent source of energy and caloric intake. My best advice is to know your body; how you respond to different caloric intakes and types of foods. What is your metabolic rate, in other words, how many calories do you burn on a daily basis? Read the labels. 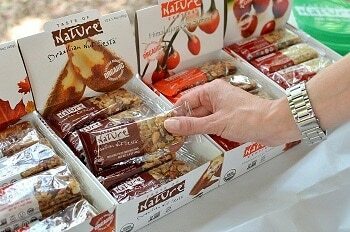 If you have allergies or special food needs make sure the energy bar you pick fits the bill. Test them out. Try them for the flavor, texture, transportability, are they gooey or crunchy, all these things should be considered so you don’t come up with an energy bar that is no good for you. You want something that not only tastes good but is good for you. And for more healthy options, check out our piece on high calorie nutritious food to eat on emergency situations.